the wi-fi in our area is out for some reason. and hope to get by to see you soon! we have been trying to stay cool while working on projects indoors. Let's get onto the review of last weeks party and then get this weeks party started! I am in love with this darling market basket filled with lavender from Rusty Hinge~ so charming! Daisy Mae Belle shared this darling hydrangea wreath- I LOVE it!! Great features, Courtney! 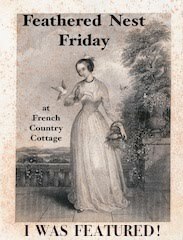 Thanks for always being a gracious hostess and for linking to Potpourri Friday! Great features!Thank you for hosting. Beautiful hydrangea wreath!! Thanks for hosting! Hi Courtney: Thank you once again for hosting such a great link party. I love your ideas for hanging plates--I'd never seen those adhesive plate hangers before, so good tip. I also love flowers in Mason jars--pretty. I like your featured post choices as well--I can think of a few spots in my home where I could use those lovely blue can and bottle. Take care--have a wonderful weekend! thank you for hosting, Courtney! Hope your wi fi issue gets fixed soon, that is so frustrating. Loved seeing Rocco ;) That's one bonus to getting out of the house! Have a great weekend. Thanks so much Courtney - I love love love linking up to your parties and browsing away - Your features are gorgeous! Beautiful looks Courtney! 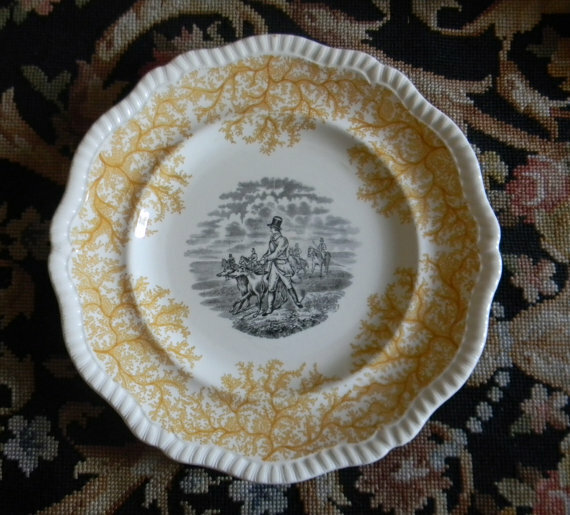 I got carried away over looking at Nancy's English transferware! Thank you for hosting and for joining me at Home Sweet Home! I love that chippy cupboard! Thanks for hosting. I made a mistake when linking up. There an exotic table in Pink and Orange that I called each Cottage Tour. Would you mind changing the name of the tablescape link so it reflects the post. Thanks. Love your party every week and wouldn't miss it. Wonderful features from last week...I enjoyed reading many of their posts/projects! Thanks for hosting and have a wonderful weekend! Hey Courtney- hope you are having a great week! 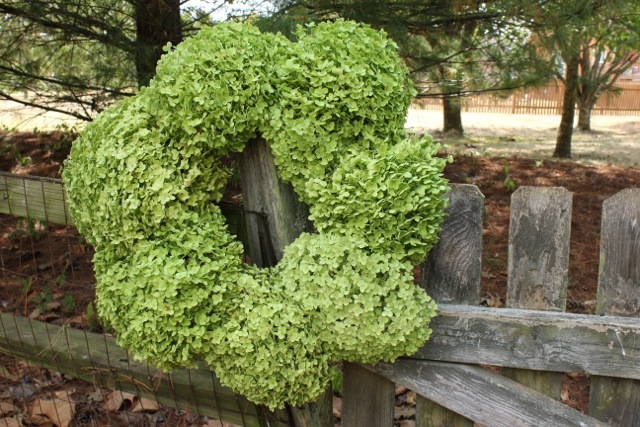 Great features- wish I had hydrangeas to make one of those wreaths! I'm totally lovin' that sheep atop the chippy cabinet. I want it! :) Thanks so much for hosting! Wonderful features, Courtney! Thanks for hosting and have a great weekend! Starbucks is a nice break, but I hope your internet's back up soon for your convenience. Thank you for hosting your party in spite of it being down. Enjoy your weekend! Thanks so much for featuring my hydrangea wreath! I just love your party and your blog! So sorry about your wi-fi headache! Hope it's up and running soon and that you get some relief from the heat. :-) Thanks for hosting us and have a great weekend my friend! Courtney, sorry you are having wifi issues. Frustrating! These are great features and beautiful images from your home. Thanks for hosting. I hate it when my internet is out. I fell behind with my task and its an inconvenience. Anyways, I so love those gorgeous flowers. It's fresh and pleasing to the eyes. Hi Courtney, sorry to hear of your wi-fi trouble. We hate for you to be disconnected from your blog community! Thanks for finding a way to host the party. It is much appreciated. Hi, Courtney. Thanks so much for the party. Hope the weather cools down for you soon! I love the white plates on your wall and your chippy cupboard! Good Morning! I finally took the plunge and started making my own Simple, Homemade butter (# 237 ). It was pretty easy to do and tastes fantastic. Have a good morning and thanks for hosting the party again! Dear Courtney. Hope your internet is back up and running again soon. 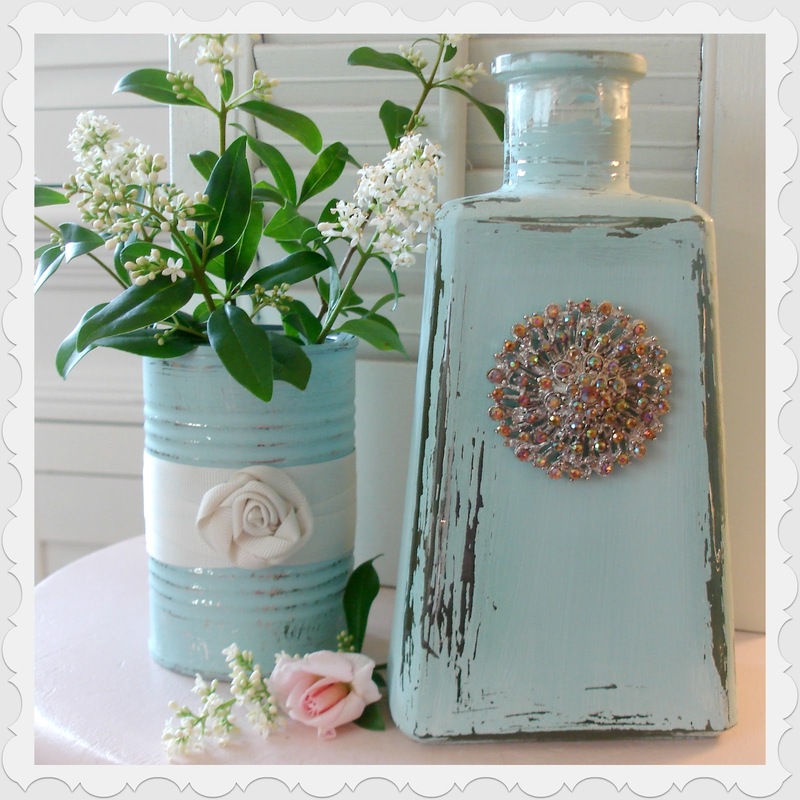 I love the blue repurposed bottles from last week. Hey, I made a mistake while linking to this weeks party and cannot seem to delete it. Could you please get rid of photo #246? Sorry for the inconvenience. It won't let me do it. Thanks for hosting! Thanks for hosting Courtney!! I always find new blogs to follow here! Love all your features! Thanks for hosting, always looking forward to your fun party. I always enjoy seeing what you've been up to in your home, my friend! I love, love, LOVE the chippy old cupboard...true perfection! Sooo many wonderful features this week! Thank you for hosting another week of Feathered Nest Friday. It seems like it has been awhile since I have joined in with the fun. It's been a busy summer! So many beautiful shares this week! Thanks so much for having me today. I have linked up a post about my bloggy home for my very first Social Media link up. Please stop by if you have a minute! Thanks for hosting Courtney! Lovely party, as always! 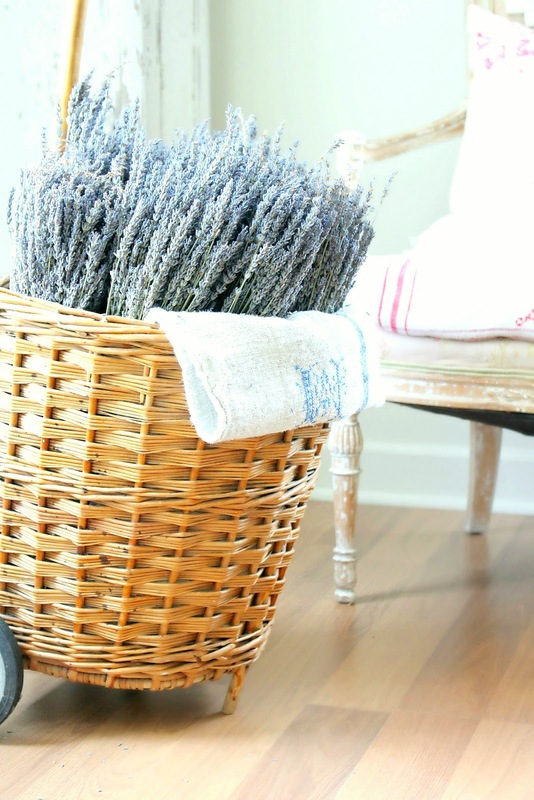 Courtney, thanks so much for featuring my lavender cart and your sweet comment on my blog! Coming from you that is huge!!! I just love the photos that you share with us, your home is beyond gorgeous!